White Gold Wedding Ring Poeme. 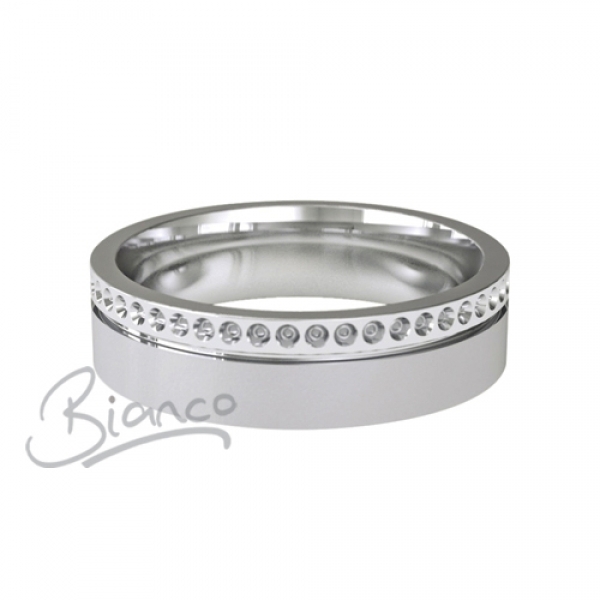 4 to 6mm wide Poeme Patterned Flat Court Wedding Ring with a brushed Matt background with contrasting high shine to one edge, defined with a fine concave line. Fourty diamond cut pearl details circle the edge.